445 (50045) & 421 (50021), Blackpool North, Sun 12 August 1973. 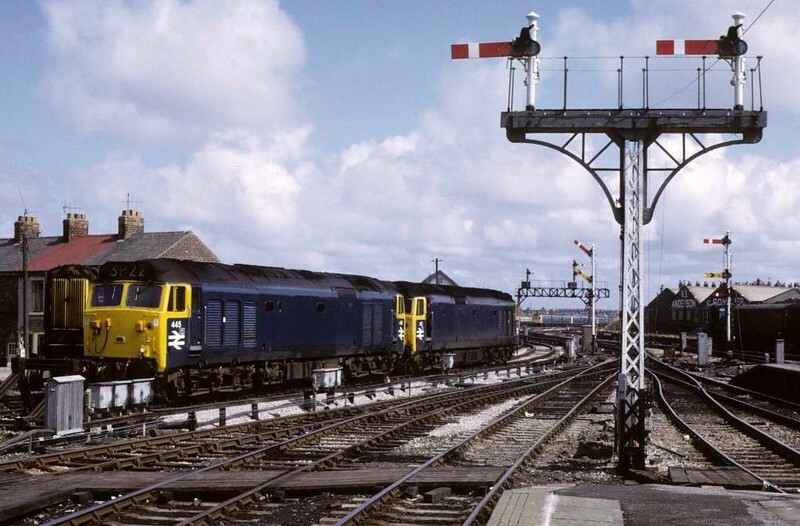 The two class 50s are stabled with an unidentified 08 shunter behind. Photo by Les Tindall.